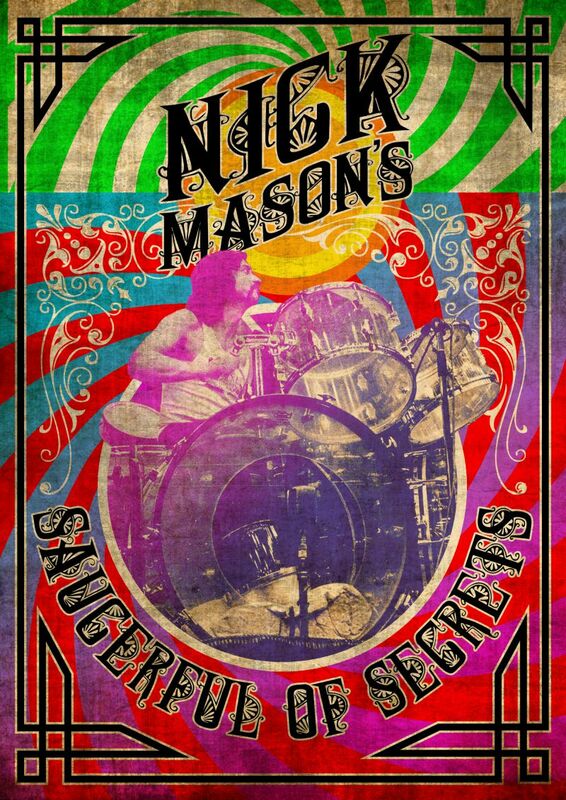 Nick Mason's Saucerful Of Secrets brings together some familiar names, all great musicians: joining Nick are Gary Kemp and Lee Harris on guitar, Guy Pratt on bass, and Dom Beken on keyboards. Kemp is best known for his work with Spandau Ballet, Harris as having played guitar with The Blockheads (Ian Dury's band), Pratt needs no introduction, and Beken is principally known for his work with The Orb, and Transit Kings (with Pratt). In the initial announcement about the band, it was revealed that the band will be playing early Pink Floyd songs at four intimate live shows in May, in two small venues in London. Those initial four, small, London concerts, and the subsequent European tour in September, were a roaring success - critically acclaimed, and fans who attended couldn't praise the shows highly enough. Now, more dates for 2019 have now been added to help spread the music of The Saucers far and wide! 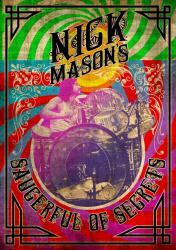 Should any additional nights be announced at a later stage, we will of course let you know. Also, we get emailed a lot with requests for tickets or backstage passes. We cannot get these for you, so please don't ask! This page is your ideal starting point for information, pictures, reviews and more for each of the shows Nick and his band performs. Simply click on the show(s) that you want to know more about... as time goes on, each show page will build to hopefully provide a comprehensive resource! BRAIN DAMAGE NEEDS YOU! We want to cover the concerts the best we can, to share the experience with everyone, especially those who won't be able to attend the shows. We welcome your comments about the show(s) you have attended, ANY pictures (official, professional, newspaper, and unofficial), tickets scans, reviews, newspaper reports, set lists and anything else you can help with. We look forward to hearing from you!